Which is better: European Roulette or American Roulette? Roulette is roulette right? Wrong! Just because there is a wheel, a ball and a betting table does not denote by any means that it is the same thing. There are two major types or versions of Roulette. 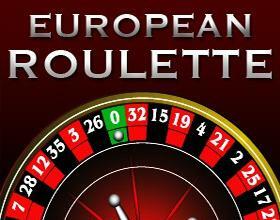 There is the original European Roulette, which is also known as French Roulette, and American Roulette. An experienced player knows the differences between these two, but for those who don’t know and would like to know which might be more recommendable for them, here is the answer. It really isn’t a matter of which one is better; it is more a matter of what you are looking for and the level of experience you have in roulette games. The strategies are no different for either, and the payouts are exactly the same. The differences lie in very, very small yet very, very important details. These details can make or break your game and your bankroll. This is the original roulette game. Invented in the 17th century in France by French physicist, mathematician, philosopher, and inventor Blaise Pascal (unintentionally by the way), this game has 37 number slots or pockets, 1-36 in alternating red and black and the number 0 in green. The number 0 is commonly called the “house” number because it gives the house its advantage. The house edge on this single-zero roulette wheel is 2.7%, however, this edge can be reduced by a couple of other rules that exist for this version of roulette. The first rule is the “la partage” rule. Partage means share or part in French. This rule is applied when the ball lands on 0. The players that placed an even-money “outside” bet are given back half of their bet. This takes the house advantage down to 1.35%. The second rule is the “en prison” rule, which is if the ball lands on 0 and you bet does not fit the requirements for “la partage,” then your bet is “imprisoned” right where it is for another turn. If next turn the ball lands on your bet, then you get your bet back with no winnings; if you lose again, you lose. This also brings the house edge down to 1.35%. 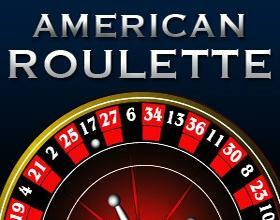 What are the main aspects that make American roulette different from European roulette? 1. The presence of the 00, and 2. the fact that the extra “la partage” and “en prison” rules do not apply. That’s it. Everything else is the same. This makes American roulette much simpler. Beware, though, that the existence of the 00 gives the house a significant 5. 26% edge, and there is no reduction possibility. As previously stated, it is all a matter of your experience level and what you are looking for. If you want simplicity, then play American roulette, but you have to be more strategic with your bets. If you want better odds, then play European roulette. It truly is that simple. Do make sure you know the rules well before playing and practice a lot before you actually go to a casino. When you go to the casino check to be sure which version or versions of roulette are available and which is the one for the table you go to.